Tom has a passion for accurate insight and a flare for creative communication. 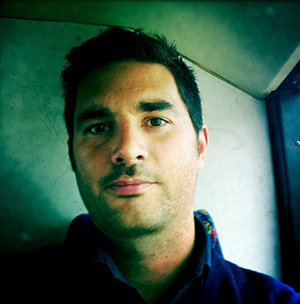 Tom Lowe has a passion for accurate insight and a flair for creative communication. He is interested in the stories that lie beneath the surface and believes that robust research techniques and analysis are the most honest methods for uncovering the closest approximation of the truth. Sitting somewhere between an academic, outdoor enthusiast and a musician, Tom feels strongly that media reporting of important issues is often oblivious to realistic agendas and extremely poor in its delivery. In an information environment that is defined by juicy snippets and 30 second soundbites, Tom’s vision is to stop insulting intelligence and instead feed people’s minds through the use of increasingly accessible digital media. Tom was born in Aberystwyth, Wales and has had a wide range of jobs, including: film maker; research manager; research consultant; research associate; fire fighter; professional drummer; US Forest Service volunteer; plumber; shop-fitter; tree surgeon; lumberjack, and; airport baggage handler. Tom is a published author and has presented at numerous international conferences and seminars. Tom completed a Masters in Environment and Development at the University of East Anglia in 2002. His research during this time focussed upon community perceptions, acceptance and response to environmental change, major disruption and disaster. Following a move to Australia in 2005, Tom began work for the Bushfire Cooperative Research Centre, within RMIT’s Centre for Risk and Community Safety. His research focussed upon the ability of Australian communities to respond to bushfire and he was part of a team that assessed the suitability of the “Stay or Go” policy that was endorsed by all Australian fire agencies. Again, Tom used a wide range of research social research methodologies in and around high risk areas and following bushfire incidents to gather information and insight into individual and community responses to major disruptive events and translate outcomes back into a policy context. In 2008, Tom began work as a Senior Social Research Officer for the Victorian State Government’s Department of Sustainability and the Environment. It was during this time that he was involved in the ‘Black Saturday’ bushfires; both in his capacity as a social research officer and as an operational fire fighter. Subsequently, Tom led numerous projects that aimed to understand and improve community resilience to bushfire and engage a range of stakeholders in the management of fire. In 2010 Tom was awarded an Emergency Services Foundation Research Scholarship which enabled him to produce a research documentary entitled “Community resilience in an uncertain future: the role of Australian Emergency Services”. The documentary, which aimed to communicate the issue of bushfire resilience within the context of climate change adaptation, has been widely received by the Emergency Services community and was a finalist in both the 2011 Australian Safer Communities Awards and the Victorian Fire Awareness Awards. In 2011, Tom began work as a research consultant with the Ipsos Social Research Institute ‘Sustainable Communities and the Environment’ team. While at Ipsos, he was responsible for understanding current policy contexts, winning and managing major qualitative and quantitative research projects and communicating outcomes to a wide range of clients and stakeholders. During this time, Tom also pursued his passion for research communication; finding new approaches to articulate and embed research findings in policy and practice. Video production became a key part of this communication approach. In 2013 Tom created Polygraph Productions; a video production consultancy that specialises in research and policy communication for the public, academic and private sectors. Tom continues to run Polygraph Productions, servicing an ever-expanding client portfolio and producing high quality and high profile video products.